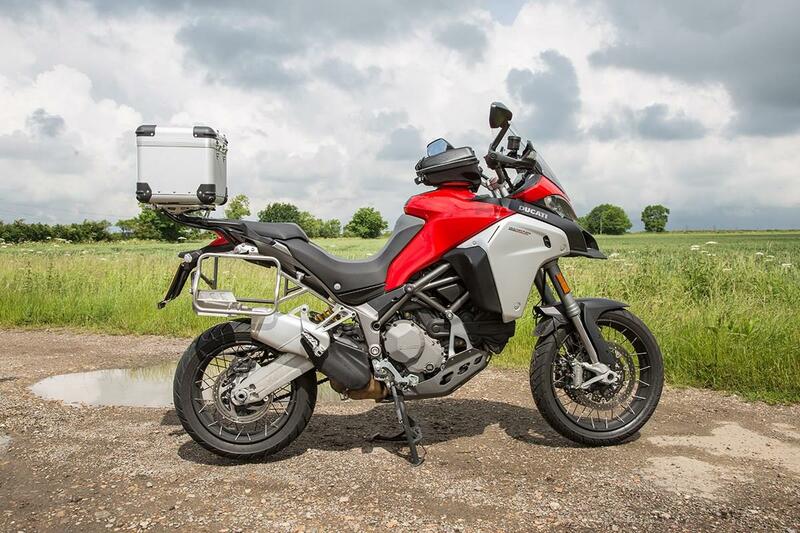 MCN's long term Ducati Multistrada 1200 Enduro (reg No. KU16 RXX) was stolen last night (Tuesday October 11) from Cineworld Northampton, located in the Sixfields Leisure Park. The theft occurred between 7pm and 10:30pm. The bike is in similar trim to the above picture, minus the tankbag and with the addition of crash bars and fog lights. It's currently shod with Continental TKC80 tyres. If you have any information, please contact Northamptonshire Police on 101 or 03000 111 222 if you're outside Northamptonshire and email andy.davidson@motorcyclenews.com. The type of luggage set-up you choose completely depends on what you’ll be using your machine for.